If you are on a budget, I recommend The AF Swiss individual pieces. So, so much better than the cheap sets; though I bought an ultra cheap set for the pouch. They have a nice heft to them, a hexagonal head so they won't roll around with evenly & cleanly machined blades. They should accept higher grade replacement blades later should you choose. Start with 0.60mm(Pink), 0.08mm(yellow), 1.00mm(black), 1.20 mm(red) & buy others as necessary. Thank you very much for the advice, much appreciated! I'll take a good look at them, and I guess the sizes you mention will be suitable for the Vostok screws!? I'll make sure to check it out! So I guess it got cheaper thanks to BREXIT! Thank you Nigel Farage (who BTW has just recently been on a visit to Sweden)! At least someone is getting something good from it all. Yes, Vostoks are the only watches I have done any serious work on to date. I believe the 1mm fits the rotor screw - which is the largest screw in the movement to my knowledge. Either the 0.6 or 0.8mm fit the dial screw, which is one of the smallest. I obtained those 4 sizes from an article regarding screwdrivers. And I must have read elsewhere to add the 0.6mm pink to the list of essential sizes & ditch the 1.4mm. WARNING OT (and I won't repeat it)! Actually, I'm in deep admiration of the British people who had the backbone to vote in favor for leaving the union and thereby paving the way for the other nations within the EU (now reduced to mere "member states"). I myself have completely lost confidence in this project and will - if the opportunity comes - work for a SWEXIT. I'm positively convinced the British people - in the long run - made the right decision! Last edited by VWatchie; November 8th, 2016 at 20:52. Matt_Bored_O, Tarquin and Chiron47 like this. Wow,thank you so much for this Saturnine! So far, my watch tool shopping has left much to be desired so I will definitely follow you advice! - he is developing a watch repair course. Available soon. Last edited by Matt_Bored_O; November 11th, 2016 at 05:00. VWatchie, igorIV, Coug76 and 3 others like this. Oh, I completely missed that disclaimer, thanks! Anyway, I wasn't really planning on a glass case back so I guess I'm not too disappointed, although it would have been nice, especially at that price point. I was lucky to get one of the AMPHIBIAN SE 020678S and it has a few of those golden parts and the decorated oscillating weight. It looks really great! Matt_Bored_O and VWatchie like this. July 2015 I was casually browsing eBay for Amphibians when all of a sudden I saw an ad for the SE 710555S. After two seconds I had made up my mind to win the auction at (almost) any cost, and I did. At this time I had never heard of the SE Amphibians or meranom.com selling these SE watches. When the watch finally arrived I was extremely pleased and it immediately became my favourite watch. It’s a watch that I feel confident wearing in any situation. 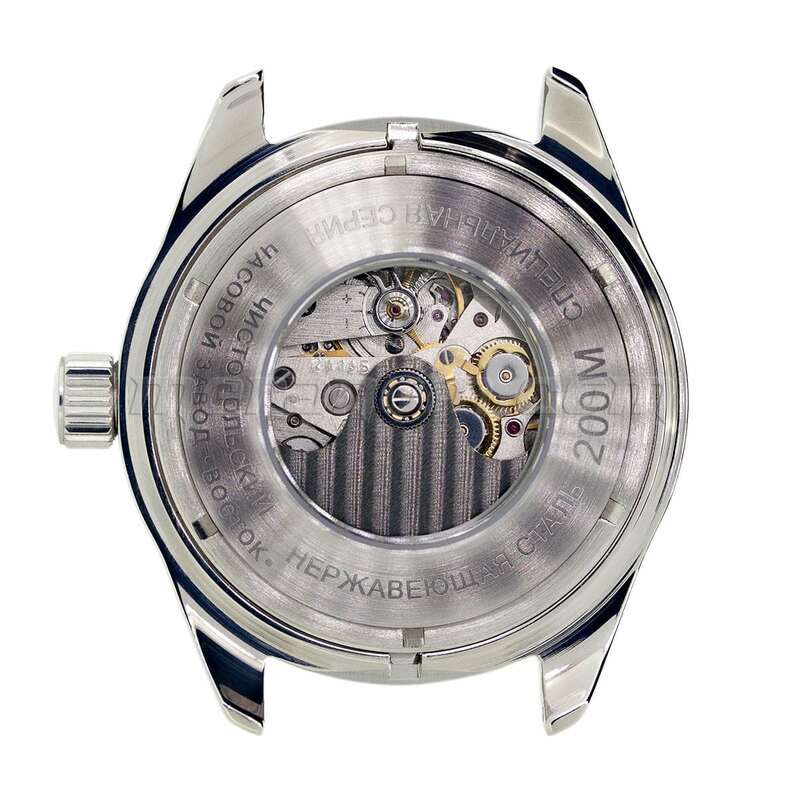 It also sparked an increased interest in automatic and mechanical watches and the inexplicable desire to tinker with them. This tinkering desire unfortunately led me to tinker with my SE 710555S. I really should have bought a used Amphibian with a 2415 movement to play around with first but I didn’t. After all, how hard could it be!? Although I was very careful when playing watchmaker I can’t help but suspect it was this tinkering with all the wrong tools and wrong lighting (I did make a few mistakes) that eventually led to the problems that developed. All of a sudden it would stop running. The problem could very likely be that which Matt_Bored_O suggested, i.e. a “bad tooth or debris on the 'Hour wheel' (gear) which controls the movement of the Hour hand”, or a problem with the reversing wheels. Now, I haven’t yet looked into the first suggestion, but I decided to replace the reversing wheels and give it a try, which I did. However, after about 24 hours or so the movement would stop again. Eventually I will try to investigate the hour wheel, but for now I decided to replace the entire movement. More about this a bit later in this post! While I’m at it; someone new to this hobby might also appreciate to learn that the crown should be pulled out to the hand setting position before pressing down the crown release button (a toothpick makes a good tool for this) and pulling the crown out of the movement. I believe I learned this from saturnine (or possibly a post on WUS or from some YouTube video). If you don’t do it like this it supposedly messes up the keyless works (I still have to learn what that is exactly) making it (very?) difficult to put the crown stem back into the movement. Now, whether this is really true I wouldn’t know as I haven’t tried to do it in any other way. Another thing I’ve learned is that when shoving back the crown stem into the movement it helps to first turn it 45 degrees so that the long side edge of the rectangular block at the end of the stem points upwards. I don’t know how much sense that makes but I’ll try to illustrate it with some pictures below. Finally, if necessary, pinch the stem from the inside of the case with a tweezers and drag it a bit further into the movement until it clicks in. So, back to replacing the movement: Since the 710555S is driven by a 2415 movement I mistakenly thought all I would have to do would be to buy a new 2415 movement (USD $39.90), transfer the dial and hands to it, and mount it in the watch case. Well, it turned out the SE hands won’t fit a vanilla 2415 movement. Dang! I tried to get Meranom to supply me a new or used SE 2415 movement but never got a reply about it. However Dmitry at Meranom as well as Matt_Bored_O suggested I should “move the pinions from the SE to the new 2415” (the pinions being the only difference). However, at this stage of my “watchmaker career” I didn’t feel I was up to the task. So, I resolved to Matt_Bored_O’s next suggestion; to buy hands from IgorIV (you can see some of IgorIV's custom dials and hands here) and mount them on the vanilla 2415 movement, and that’s what I did. I also replaced the crown with a stainless steel crown from Meranom as I felt it better matched the brushed bezel (and for the fun of it too!). Fitting the new hands proved a daunting task. I can’t remember how many times I had to start all over. The really difficult part was fitting the minutes hand. It would constantly crash into the hour hand and eventually I made the mistake of bending the minute hand slightly upwards wrongly believing it would help (which it certainly didn’t!). When I finally got the hour hand and minute hand working together the seconds hand got stuck on the minute hand. As I said, I can’t remember how many times I had to fit, remove, and refit the hands. Eventually I got it all working but the margin between the minutes hand and the seconds hand is so small I can barely see it with my 20x magnifier. Anyway, as far as I can tell the hands are now revolving perfectly! The original 710555S hands are sword shaped and I did order two pairs of those from IgorIV; gilded and silver. However, I also order a differently shaped set of hands which I eventually decided to use. I figured that since the watch now must be considered a mod (having a slightly different movement) I might as well mod the hands as well, and I am very pleased with the end result. Overall I was very pleased with IgorIV’s hands. The only problem was a bit of debris of something (lume?) on them. Anyway, this was easily removed as demonstrated at the beginning of this video by Dan (Ratfaced git). As a matter of fact my hands looked exactly like those seen in the video. Finally I’d like to thank Matt_Bored_O for his support and sharing his knowledge. Also, thank you IgorIV for the beautiful hands. Last but not least an especially big and warm thank you to saturnine who’s shared tons of information and links about Vostok watches, tools, and more. Without your help comrades I’m not sure I would have been able to succeed! So, Огромное спасибо! taimurkhan, congo, saturnine and 4 others like this. ...Another thing I’ve learned is that when shoving back the crown stem into the movement it helps to first turn it 45 degrees so that the long side edge of the rectangular block at the end of the stem points upwards. I don’t know how much sense that makes but I’ll try to illustrate it with some pictures below. Finally, if necessary, pinch the stem from the inside of the case with a tweezers and drag it a bit further into the movement until it clicks in. I also order a differently shaped set of hands which I eventually decided to use. I figured that since the watch now must be considered a mod (having a slightly different movement) I might as well mod the hands as well, and I am very pleased with the end result. That's a nice tip, thank you.